Stockholms Bluesförening har det stora nöjet att presentera Derek Conyer´s Rythm & Blues Ensemble. Derek Conyer is one of the hottest House/R&b artist out there. Since his first release ”Natural High” on Swedish Producer Christian Falk’s Album ”Swedish Open, Derek has work with the elite in the house world. He has written and sang on a few floorfilers but ”Hauting Me” which was released on ”Deep Dish” was voted the top track of the Winter Music Confernce in Miami in 2001. DJ Magasine speaks of his spine-chilling vocals.. A true classic!! 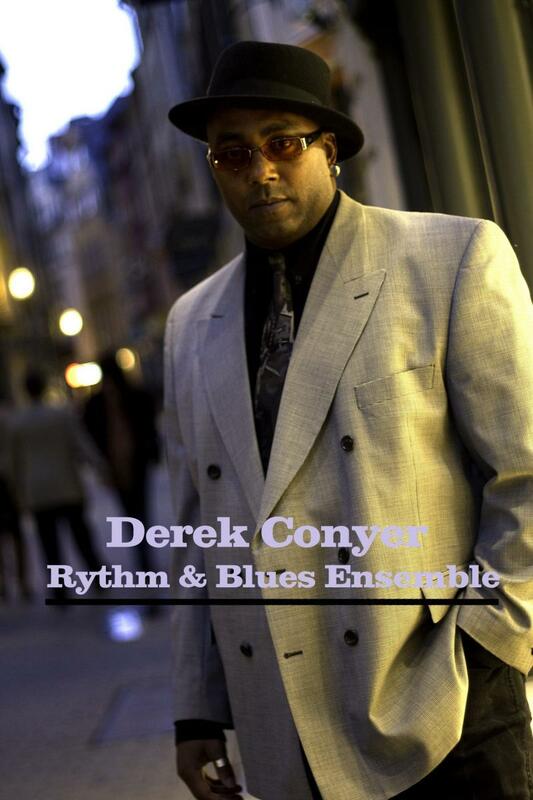 Soulful is the Man and His Voice..
Derek Conyer’s charisma on stage is astounding. His inique open and oneness with the audiance is noticed as he takes the listener for a journey of melodics Grooves. He grew up in a Gospel atmosphere singing like most of the greats do. So we can attibute his voice to just that. Over the last years Derek Conyer has been busy entertaining audiances across Europe but resides in Stockholm where he does the ”Motown Xperience” and ”Soul Power” a Tribute to the the Soul Giants. Music for & from the Soul. A mixture of story telling Blues, Soul to Inspirational Gospel, Motowns Finest to Blues Favorite Kings (Freddie, B.B. & Albert).